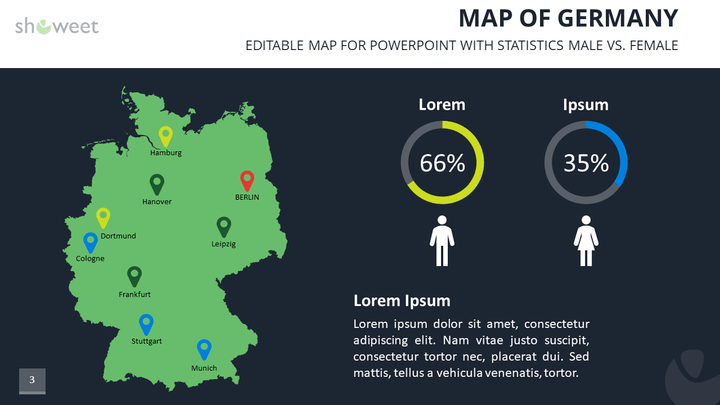 The PowerPoint map of Germany is fully editable. 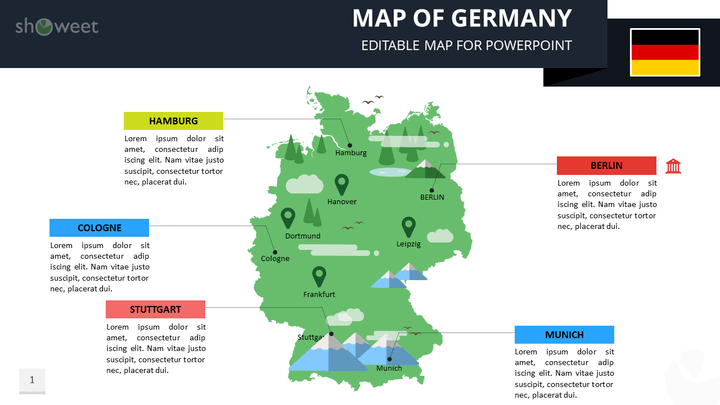 That means these are vector-based maps in PowerPoint format. 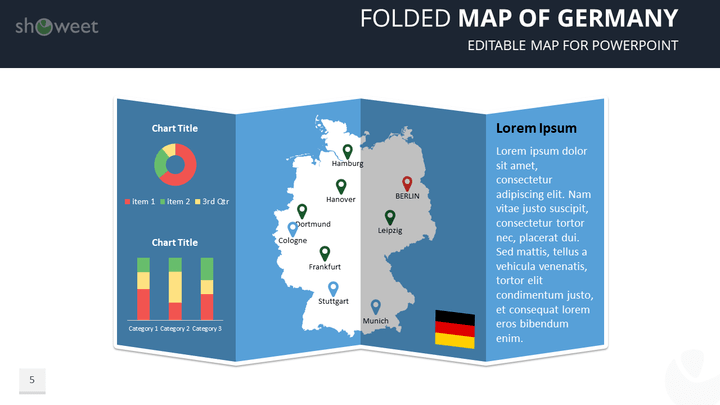 Colors (fill and line), size or even shape effect can easily be changed or added to perfectly fit your presentation template (if needed). 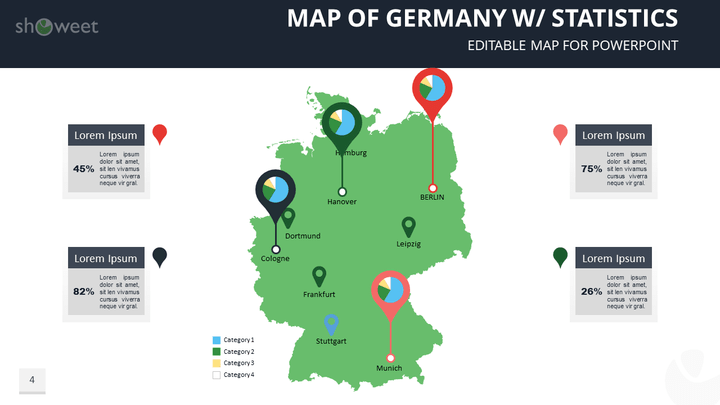 Finely detailed outlines: if you enlarge the map you will get a large and sharp level of resolution (coastlines and borders). 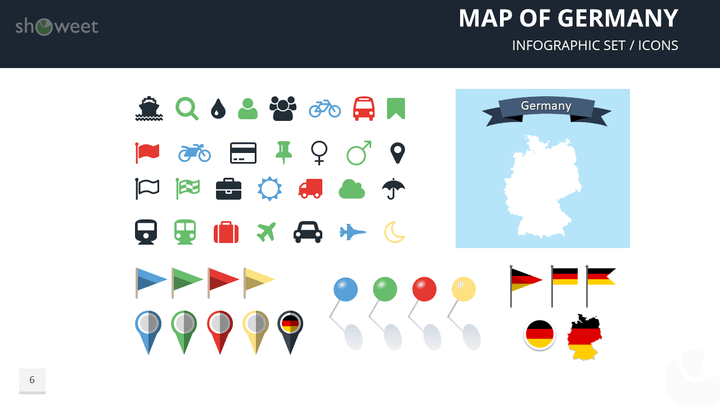 This free map template of Germany includes a set of infographic elements with practical icons and pins to effectively illustrate your map. 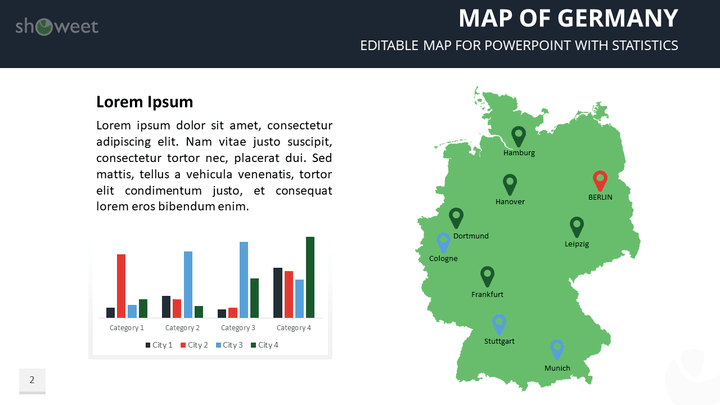 Download the ‘Map of Germany Templates for PowerPoint’ for free!